The title says it all! 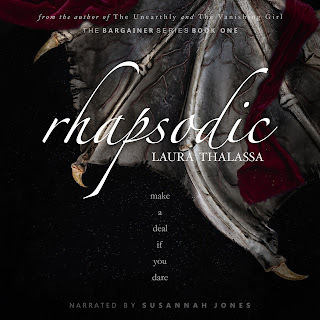 If you love audiobooks, or you have friends/family that does, be sure to check out Rhapsodic's audiobook, narrated by the amazingly talented Susannah Jones. (Seriously, she's a boss.) It's available for purchase on Amazon, Audible, and iTunes! Aside from that, I'm about halfway through writing A Strange Hymn (whoop whoop! ), and I'll have more information on that in the coming weeks! The release date is tentatively scheduled for May! Keep a lookout for a mini teaser on my Facebook page this coming week!